India could block Research in Motion (RIM) from 31 March 2011 after government officials expressed dissatisfaction with access to Blackberry services. The Indian government is concerned that terrorists could use encrypted services to co-ordinate attacks. In a parliamentary written answer, junior telecoms minister Sachin Pilot said Indian security agencies are not satisfied with RIM's offer of access to Blackberry Messenger (BBM) services data, reports Reuters. According to a report by Indian newspaper, the Economic Times, a government official involved with developments says India will insist on access to corporate data by the end of March, a deal similar to those in Saudi Arabia and the UAE, which have access to RIM enterprise services. 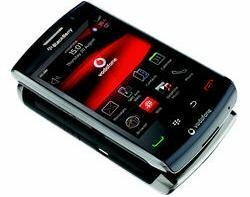 Research In Motion (RIM) said in January it cannot give the Indian government a means of monitoring its corporate mail service running on the firm's Blackberry handsets. In February, Pilot said in a written parliamentary answer, "Telecom service providers should launch a service only after it has been demonstrated to the security agencies that it can be intercepted." Nokia has set up servers in India and is testing the ability for Indian officials to monitor consumer email services, reports the Wall Street Journal. In August 2010, the Indian government threatened to ban Blackberry services if it failed to provide the government full access to its services. The threat was revoked after RIM agreed to address the government's security concerns by 31 January 2011.